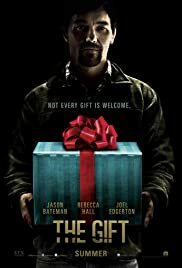 The Gift hearkens back to the late-80's to early-90's when movies like Fatal Attraction, Cape Fear and Basic Instinct were big. While it may seem initially like just any ordinary thriller, it turns out to be so much more. With an emphasis placed on characters and theme, the script manages to elevate the material above the trappings of it's genre.